If you have ever had moments when life just seemed to fall into place without effort, then you have experienced flow. You probably savored those beautiful moments as they have come in and out of your life, wishing you could find a way to experience them more often. When you learn to let go and get in the flow, you experience those moments everyday! Life become magical and full of joy. Letting Go: Get in the Flow to Stress Less, Fear Less & Struggle Less will help you embrace the essence of flow in your everyday life. Live life feeling like you are always in the right place at the right time. Finally attract all the good things into your life that you have been dreaming of but didn’t feel were possible for you. Learn to increase and gain an awareness of serendipitous events, ideas, inspirations and opportunities as they unfold in your life, instead of brushing them off as mere coincidence. Discover how to flow with life’s natural ups and downs without feeling pulled down. Experience what it is like to no longer fear change. Learn to make better decisions and have fewer frustrations. Enjoy more love, acceptance, trust, peace and joy in your daily life. Learn how to let go instead of struggling to control. Stress less, fear less and struggle less! 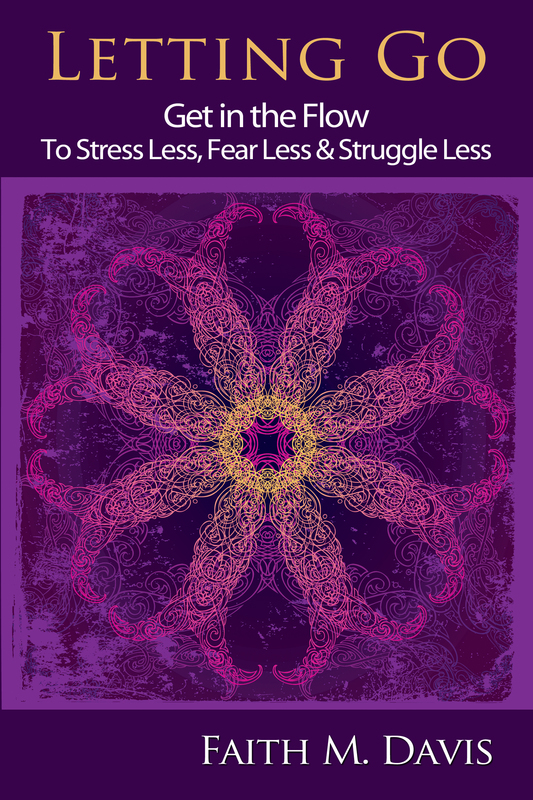 If you are looking for a way to experience more happiness while letting go of fear and struggle, and if achieving stress relief and finding flow sounds like heaven to you, this is the book for you. It has the power to change your life on so many levels. Click here to purchase on Amazon.